The Services You Need, And The Professionalism You Deserve! As a homeowner, you probably have all sorts of ideas about how you want to enjoy your time and property. You also probably have a lot on your plate. At Cutting Edge, we can help you enjoy your property to the fullest - both aesthetically and practically - while also saving you time, money, and water. 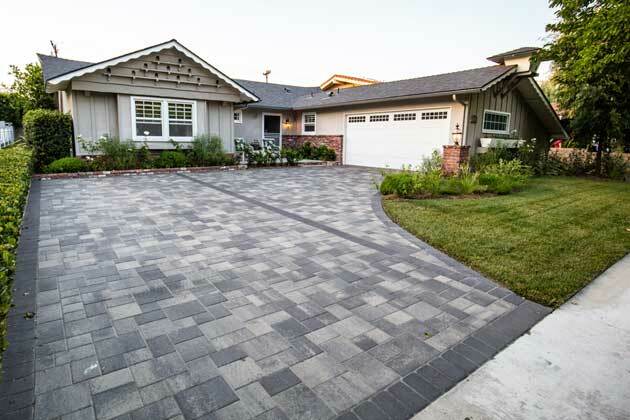 There are many landscaping companies in the Manhattan Beach area to choose from. However, we strive to provide a wide range of services, excellent design, and superior customer service and professionalism that are unrivaled in our industry! There’s a reason Manhattan Beach, Newport Beach, Long Beach, and the surrounding areas are so famous. Their weather is mild and comfortable, and their close proximity to the beach and big-city amenities help their residents enjoy an excellent quality of life. 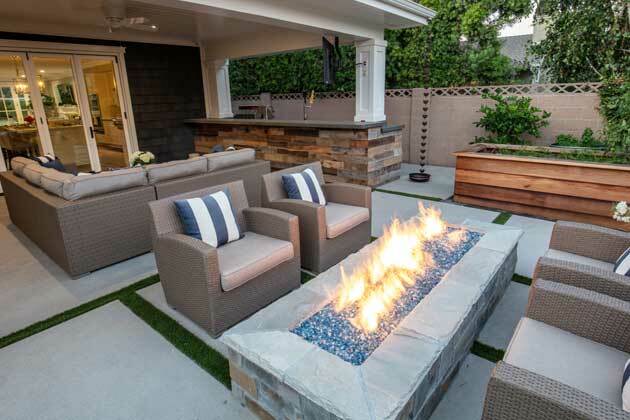 We want to add to that quality of life by bringing great outdoor living opportunities straight to your own backyard! Enjoy an outdoor kitchen that’s perfect for barbecuing with friends and family and personalized to your needs. If your kids need a place to cool off after school, we can design and build pools that will keep them entertained and happy all afternoon. Or, if you need a place to relax after a long day, we can build spas and jacuzzis that will transform your yard into a peaceful, private oasis. Our design services are among the best you’ll find in the area, and we take special care to make sure we’re meeting your specifications and exceeding your expectations. All of our work is custom-tailored to you and your needs! 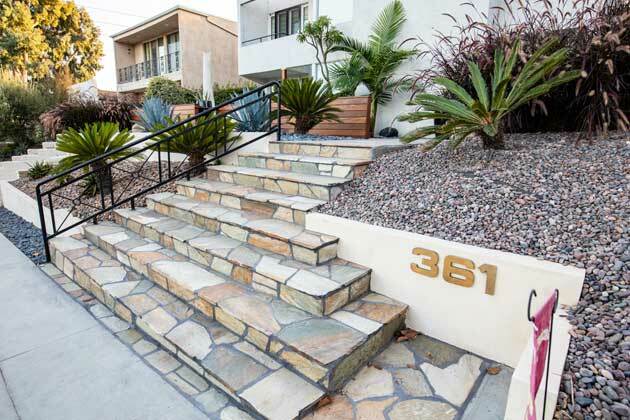 The Manhattan Beach area has some spectacular lawns and landscapes. You may wonder how in the world those homeowners achieve such an amazing, polished look. At Cutting Edge, we know the secrets to create incredible landscaping, and want to share them with you! 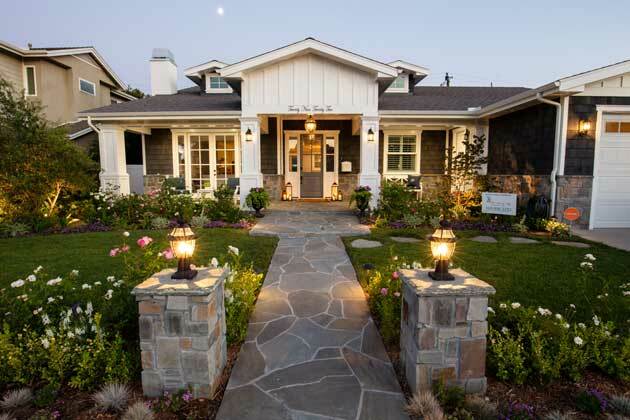 If you’re thinking about installing landscaping that requires very little water, we invite you to make use of our xeriscape design and installation services. 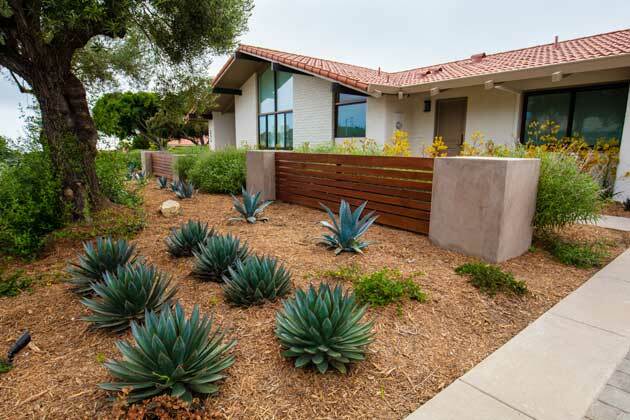 Among other elements, this type of landscaping usually makes use of native plants that naturally thrive in the area, and are both low-maintenance and low-water. With our sprinkler and drip line installation services, you can enjoy the convenience of being able to trust the watering to your finely tuned and efficient system. Another option that we provide is artificial lawn installation, including turf and synthetic grass. 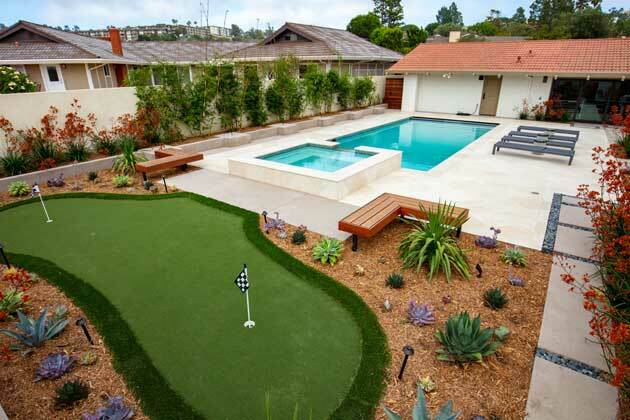 If you love to golf and want to stay at the top of your game, we can even install your own personal putting green! At Cutting Edge, we promise to be available for you. We are never too busy to take your call or listen to your ideas, questions, or concerns. Our professional, college-educated team members will deliver results that you can find nowhere else. Their attention to detail and drive to always do their best work will put you at ease throughout the duration of your project.